Do you remember these? Crikey, I haven't used one of these since I was super young. I remember picking these up along side the impulse sprays and I remember feeling super grown up. Fast forward a few years and I'm giving them a go again and honestly I'm so surprised how much I love them. One thing I hate doing with my actual perfumes is carrying it around with me. Sometimes you just need that spritz on the go but perfume bottles are so heavy and of course expensive and so if the worst happened and you broke it, it'd be devastating. Thats where the So...? Body Sprays* come in. They're so in expensive and hand bag sized and are just perfect for carrying around with you. As you can see they have so many scents so just pop in store and give them all a sniff and you'll be sure to find a few you like! 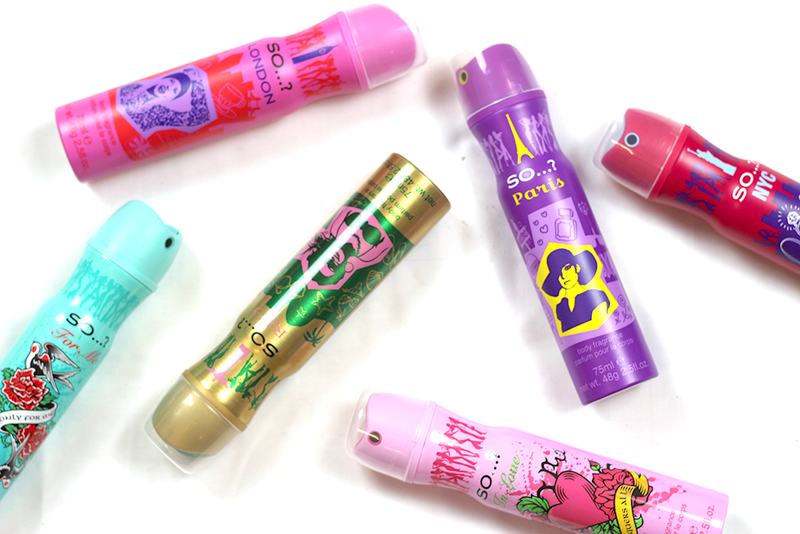 Did you used to use these body sprays when you were younger? Ooh - impulse! Remember buying these ages ago too!